Pat has a lot of jobs. 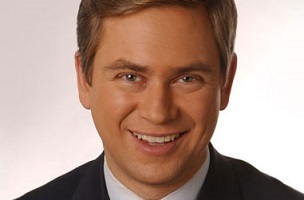 Every New Yorker’s favorite news anchor Pat Kiernan has yet another role — co-host of Bloomberg TV Canada’s new show, Bloomberg North. Kiernan will be joined by fellow Canadians Amanda Lang and Rudyard Griffiths as hosts. The 30-minute show will air weeknights at 6 p.m. and 9 p.m. ET. Bloomberg North is a Bloomberg show, so naturally you can expect plenty of business coverage. The trio of hosts will switch off nightly, with Griffiths taking Mondays, Lang taking Tuesdays and Wednesdays and Kiernan hosting Thursdays. Fridays will be hosted by a rotating cast.